VOLUMEBLOOM Conditioner is rated 3.1 out of 5 by 11. Rated 4 out of 5 by whitewolf361 from Great Product, One Downside I have been using Biolage for years - though I do switch products every now and then, mostly because I was getting "build-up" (or so I thought; apparently I was just using shampoo/conditioner wrong). Anyway, the original formula worked pretty well. I used it for a while, in between several other products. In all honesty, I can't tell the difference in the new formula, but that's only because there was a pretty big gap in between the last time I purchased Biolage. I do like the VolumeBloom line - it smells pretty good, it does its job well. I have definitely noticed a difference in my (fine, thin) hair's volume when using cheap products (of which I no longer use) compared to this. The only negative thing about this product line is it's not sulfate-free. I didn't know this, and used it on dyed auburn hair (natural color is an ugly "blonde" shade) - I kept wondering why the color would fade SO FAST. It would barely last a couple weeks before it was much lighter. After reading the ingredients, I was shocked to see it contained sulfates. I don't know for sure if it was this product line, as I have also heard that red fades much quicker, and dark colors don't seem to last as long as any other shade of blonde I've tried. Needless to say, while I have color-treated hair, I will probably not buy this line from now on, unless it goes sulfate free. Which is a shame, because I like it. I would recommend this product, but I would caution people to consider the ingredients. Just because it seems to be a more 'natural' product, doesn't mean it doesn't have ingredients that are known to cause color fade... For those with natural hair, go ahead. Rated 5 out of 5 by MeeMaw from Perfect for fine hair I've tried many brands of conditioner. Some are too heavy....others condition part of my hair, but leave the sides dry. This conditioner works great on my fine hair. It brings out the curl and my gray sides come out moisturized and curly, instead of dry and straight. I make sure to masage it into my side hair which is very dry and I just could not believe my eyes when my hair dried and I discovered the sides were conditioned. I am very happy. I may try the Volume Bloom shampoo when I use up my current PM shampoo. Thanks for making a conditioner that works for me. Rated 1 out of 5 by Bear from Too heavy I bought this because I couldn't find the Biolage detangling conditioner at JCPenney. Very disappointed because it weighs my hair down and makes it hard to comb. Will not buy again. The shampoo version for fine hair is ok. 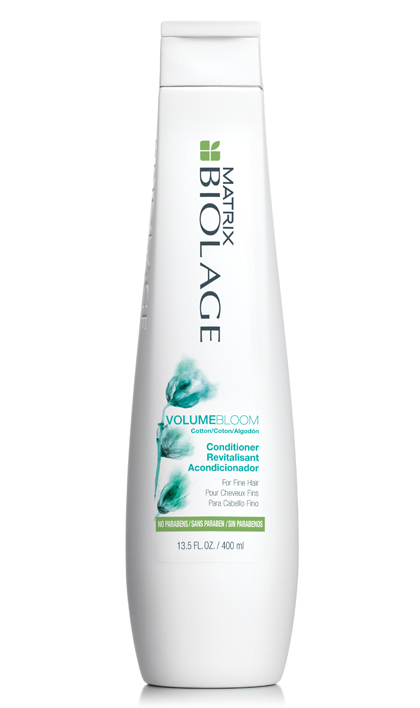 I've used Biolage products for many years and have been happy until now. Rated 1 out of 5 by Pinkgiggles from Really dries and makes hair frizzy It dried out my hair and made it so frizzy! I'm really disappointed. I heard so many great things about this product for dyed hair... but it's horrible. It's expensive, drying, and makes hair frizzy. I would not recommend this product to anyone. Rated 5 out of 5 by Lma127 from Love it I used this along with the shampoo and volumizer and was very impressed. It definitely added volume and texture to my fine straight hair . My hair just felt naturally thicker and fuller . Love it and highly recommend ! 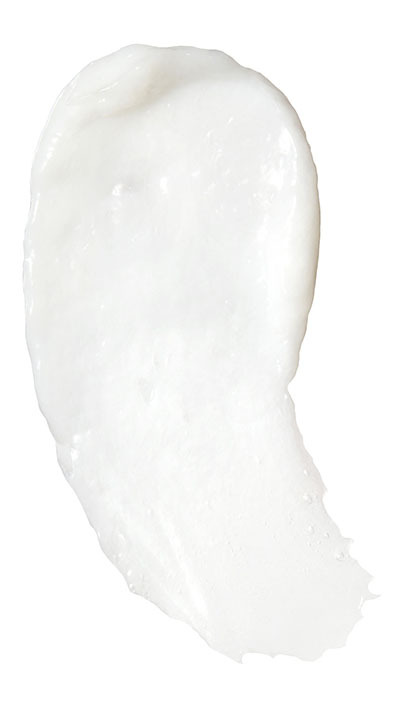 Rated 2 out of 5 by Anonymous from Full-Lift Volumizing Conditioner I'm not happy with this conditioner at all. It dry out my sclape & made it itchy. Makes my hair grease. Don't like it at all. Rated 5 out of 5 by Margaret from Full-Lift Volumizing Conditioner This is a wonderful product. I have very fine hair and this give it body and shine without any weighting down. I love it. I can't understand the negative reviews as this performs so much better than the standard supermarket products. Pricey but worth it to me. Rated 1 out of 5 by KO from Full-Lift Volumizing Conditioner My hair is normally straight. This makes my hair frizzy and dry. Also leaves a film. I'm going back to my cheap grocery store products.